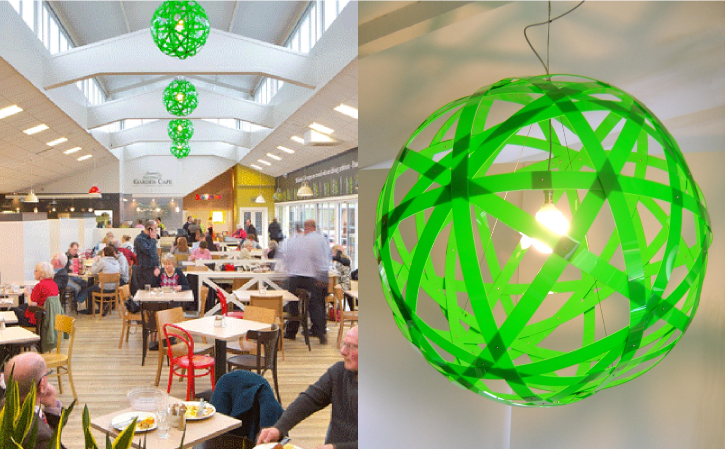 Featured project – The studio was commissioned to create 5 of these large (DIA800mm) pendants in green for the new restaurant at the Arboretum garden centre in Kilkenny by McCabe Design Group. 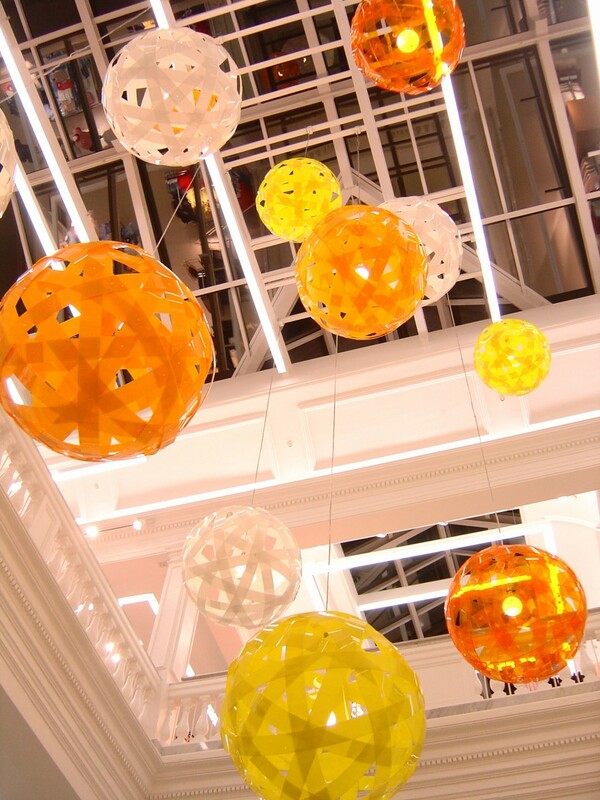 These fittings can be ordered in any size from 500mm to 800mm diameter and in many colours – see the Perspex colour chart as before. 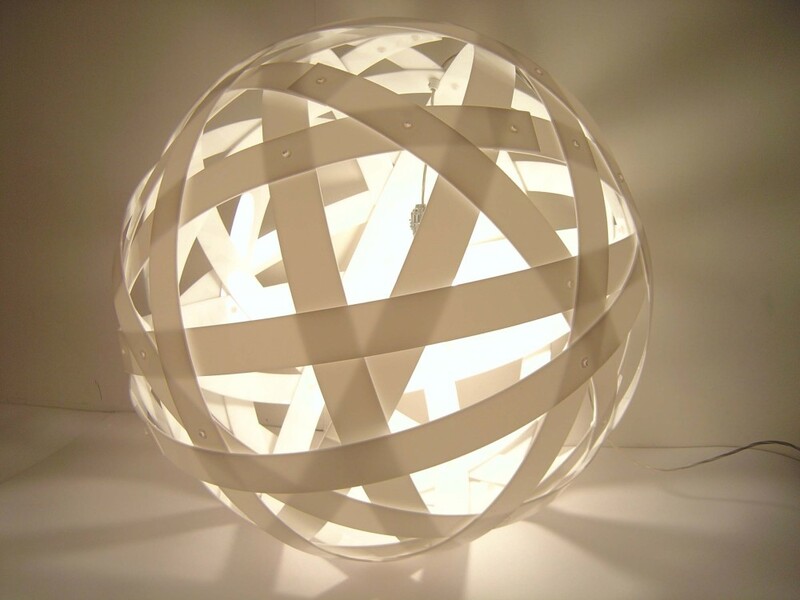 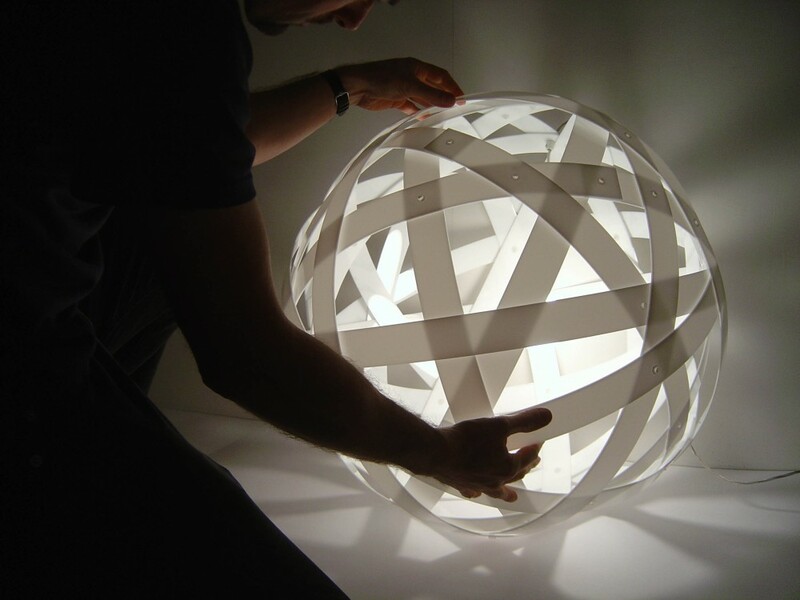 We can also create undulating, joined spheres – see our ‘Fluid Sphere’ pendant.